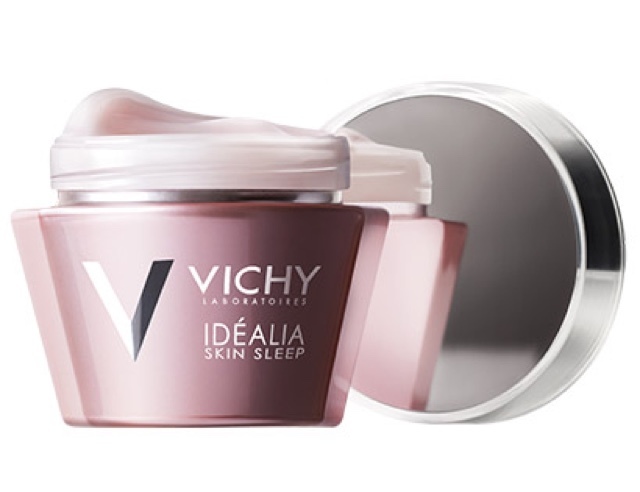 For the past month, I have been using the new Idelia Skin Sleep night cream from Vichy which is so incredible, it has completely changed my skin! Everyone knows that sleep is essential to healthy skin, but those 8 hour a night goals are so unachievable. Luckily, for busy people like me there is a solution. Idealia Skin Sleep recreates the restorative effects of deep sleep, so once you’ve applied, it mimics sleep, activating skin cell renewal and regeneration. This essentially means you can go out all night, and as long as you have applied the cream, your skin will continue to repair, or alternatively, wake up super early, and look radiant and fresh. Idelia Skin Sleep contains Hydrolonic Acid which hydrates and plumps the skin, LHA derived from Salicylic acid, which acts as an exfoliant by smoothing and evening skin tone, and Vitamin B3, strengthened by Apricot kernel oil which acts as an anti inflammatory as well as a barrier against UV and pollution. I apply mine before going to bed, and then again first thing in the morning before my morning run. The texture is quite thick and creamy, but because its a gel, it doesn’t feel too heavy on the skin, and absorbs quickly. It smells super strong due to the green tea and jasmine fragrance, which is supposed to promote deep sleep, but unfortunately for me, it’s so intense, it makes my eyes water. I normally use natural products with subtle scents, so this artificial (chemically) smell did initially put me off, however, I persisted, and although it still makes my eyes water, it hasn’t reacted badly to my skin, and is actually one of the best night creams I have ever used. After a couple of days, I noticed my skin feeling dramatically smoother, soft and my skin felt firmer. I would highly recommend this product for busy sleep deprived people who need additional help to boost their skin. It really is great, however, I’m not sure if I’m going to buy a new jar once this one has finished, due to the smell which is really overpowering. Don’t let this put you off, it’s a brilliant night cream and works wonders on tired skin.